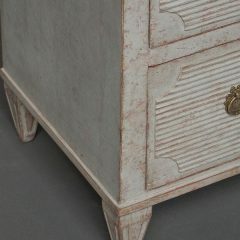 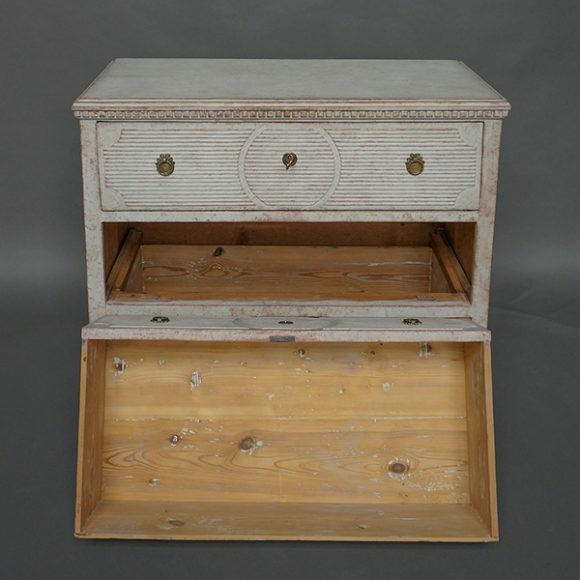 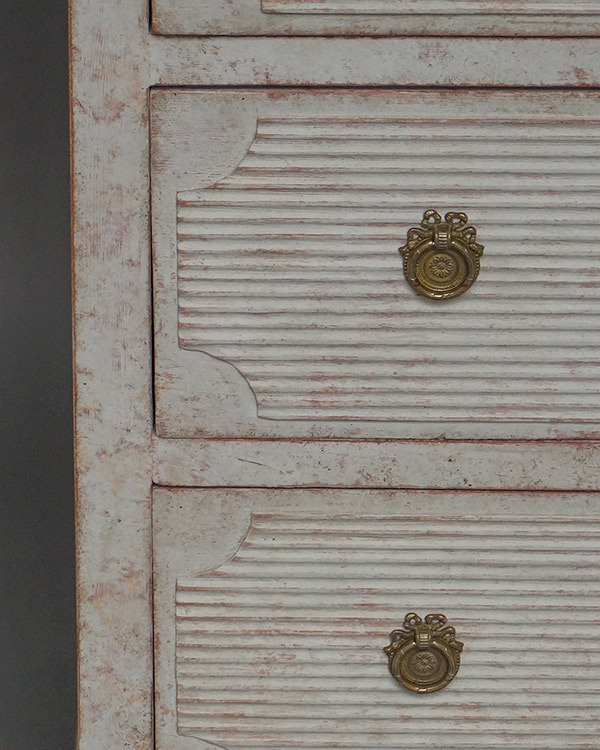 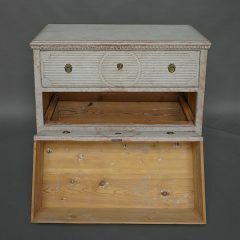 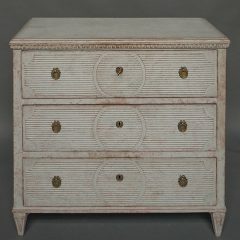 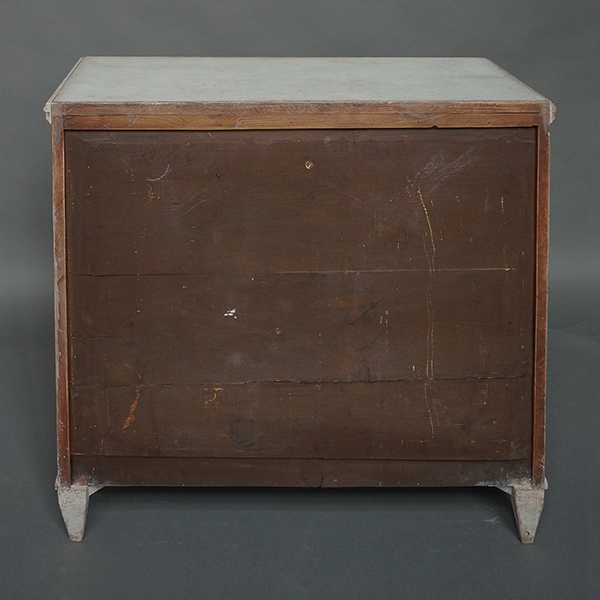 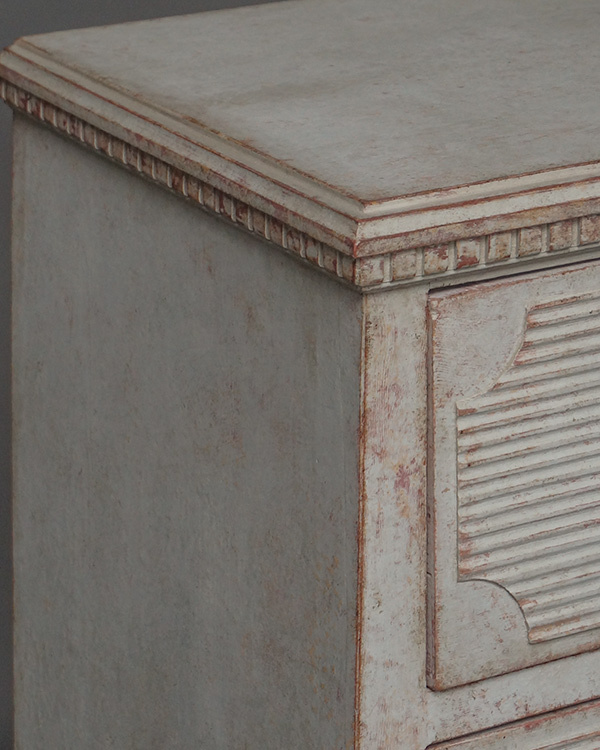 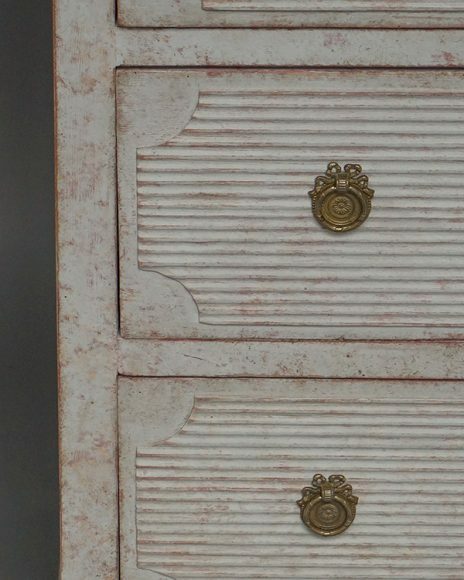 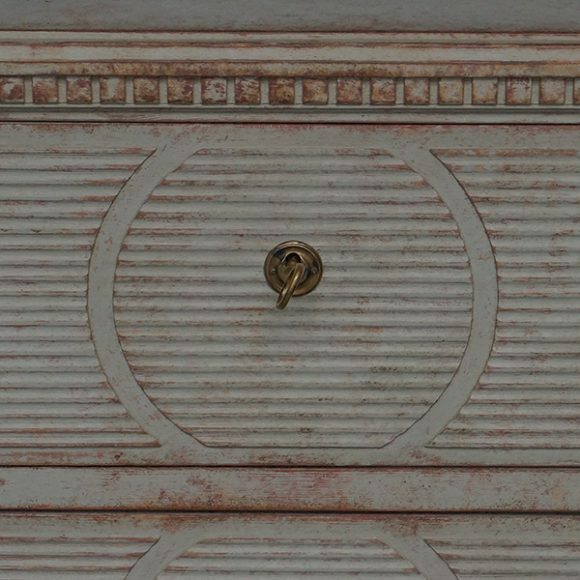 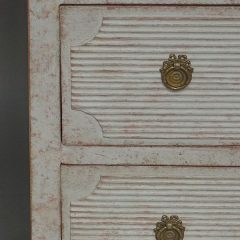 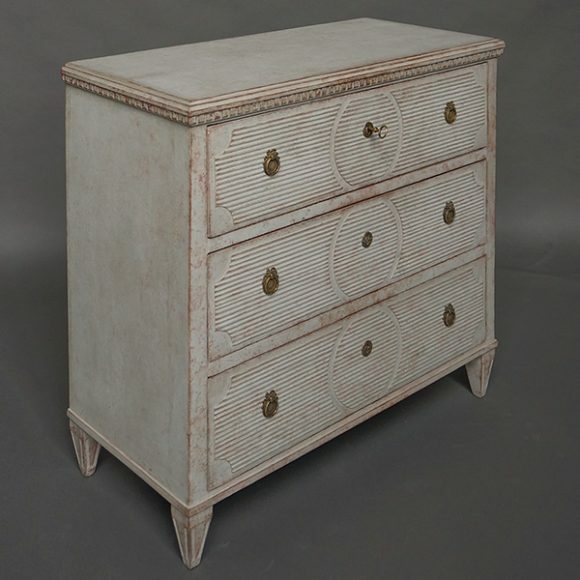 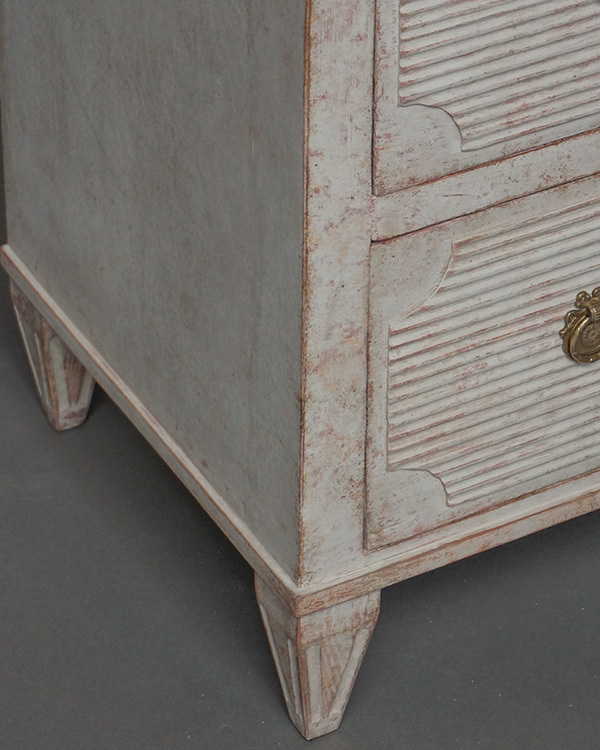 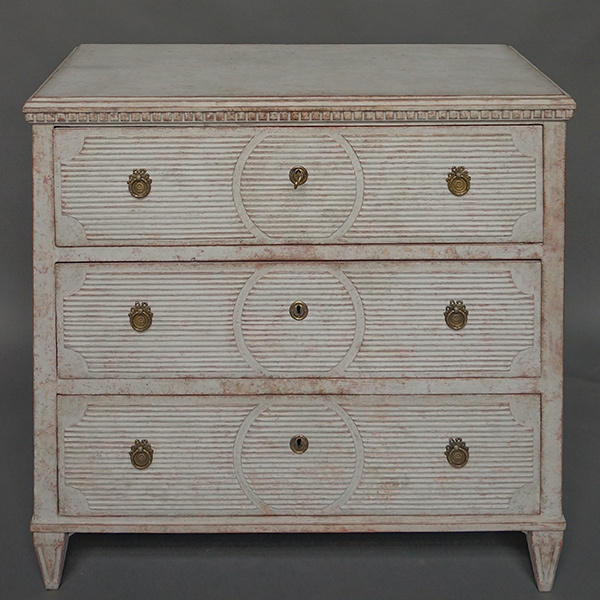 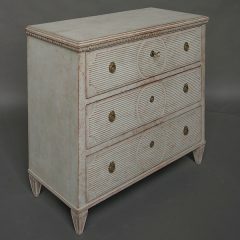 Swedish three-drawer chest in the neoclassical style, circa 1850. 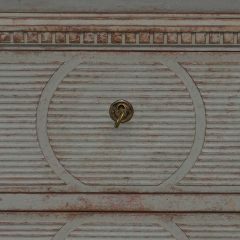 Each drawer has a raised panel of horizontal reeding interrupted by a central recessed circle. 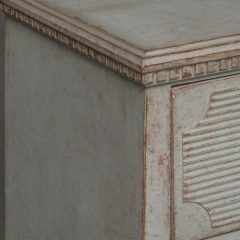 Dentil molding under the top and tapering square legs at the bottom.